VATICAN CITY: Pope Francis has authorised a leave of absence for a German bishop at the centre of controversy over expenditures for his residence and diocesan centre. “A situation has been created in which Bishop Franz-Peter Tebartz-van Elst currently cannot exercise his episcopal ministry,” an October 23 statement from the Holy See press office said. The Pope, after being “continually, broadly and objectively informed” about the situation in the Diocese of Limburg, has authorised “a period of leave outside the diocese”, effective immediately, the statement said. 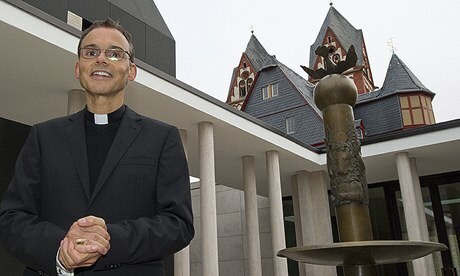 A priest whom Bishop Tebartz-van Elst had selected as his vicar general would administer the diocese in his absence, the Holy See said. The bishop has been at the centre of controversy over the remodelling and building project in Limburg, which is estimated to have cost about $40 million.